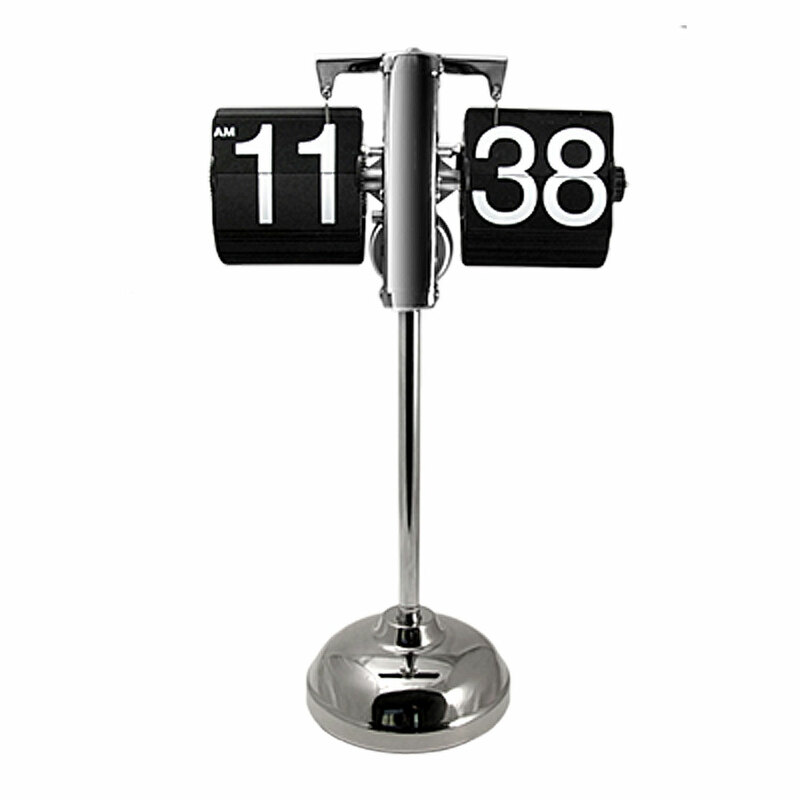 Customers who's bought this item also viewed these..
Retro and incredibly slick looking gear operated metallic flip down clock for adding flair to any desktop or table. A true eye catcher, this retro designed timepiece will accurately tell the time all day long. and with just one D battery, you will be getting weeks of power supply. With its cool, steampunk inspired design, this is the retro clock you have been waiting for. Best gift choice for friends!! We again need the Retro Flip Down clock. Please make us an offer about 40 pieces. Better price as last time. How long do you need for shipping? The last few watches were very wobbly. The foot and the head was not right with thetelescopic rod connected. Please take care of production. Also two watch from the last deliveries are stopped due to a defective motor. Please consider this on your new offer. Is it possible, that we can get the exclusive distributor for the Retro Flip Down Clock into Germany? That we are the only sole distributor of this product ? The details you can email to us,this is our email address [email protected],we can talk on email,thank you.